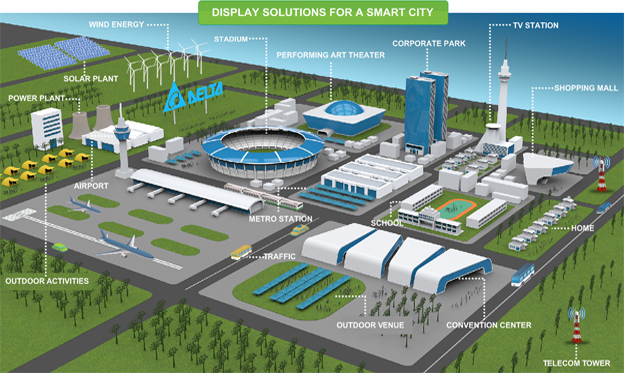 How smart cities are using video wall solutions to manage security? Today, more than half of the global population is living in urban cities and the projections show that another 2.5 billion people will be added to the count by 2050. To cope with the growing urban population, several countries are embarking on the high-tech trend of building ‘smart cities’. While smart cities aim to make communities more efficient with world-class infrastructure and facilities, like 24 hour power supply, complete Wi-Fi, water conservation, waste management techniques, etc., they necessitate effective security and surveillance systems too. Smart cities will be acting advantageous for the investors, entrepreneurs and skilled labors and contribute a big time towards the economic growth and development of any nation. Hence, the governance, besides initiating urban transformation, has to simultaneously work on a surveillance design for cities to ensure safety of their citizens, organizations and institutions. 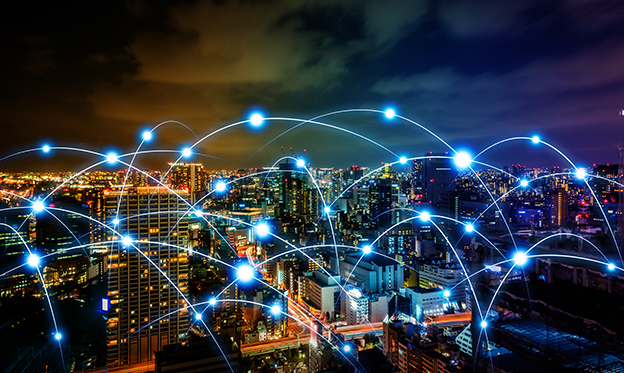 Security systems in smart cities have to incorporate a wide-array of technology driven subsystems – CCTVs, sensors, monitoring devices, wireless communication systems etc., and control centers that can access collaborative information, thus, helping in the analysis of data and quicker decision making process. These control rooms incorporate intelligent video surveillance systems to provide continuous, real-time data to command viewing centres for seamless, effective and efficient operations. In fact, control centers will be the heart of safe and smart city projects, and video surveillance systems like video walls will be their key enabler. Video wall is a sophisticated display technology and an integrated array of monitors that can efficiently enhance the effectiveness of the surveillance and security systems in a city’s command and control center. Video walls play a significant role in the implementation of smart city concept across the world. Since data is the driver of growth and security in any smart city, video walls will ensure that quick, decisive and genuine data is available to the operators anytime, anywhere. Video walls facilitate on-line access to wide-ranging information about the city at the click of a button. These are also ideal for facilities that need 24x7 surveillance in any city - warehouses and manufacturing plants, transportation systems, shipping facilities, airports, oil and gas refineries, water distribution systems, etc. Each of these facilities incorporate different sub-systems, such as location tracking, alarm systems, remote system management information and video feeds, etc. for managing large facilities. Video walls can help monitor these systems in real time, so that swift actions are taken if a potential issue is detected. Video walls enable authorities to keep a check on all the activities happening in the city on one large screen. With video walls, information from almost any system that has any kind of video output can be configured on display. By optimizing distribution and visualization of all kinds of data, video walls help operators to get the most out of the available information that could further help in making quick decisions, enabling smooth flow of all the activities. Video wall solutions help in eliminating complexity and bringing clarity in the chaotic areas of security and surveillance management, traffic management, telecommunications, etc. in any city. Delta, with the successful installation and implementation of their video walls in several smart city projects, is the most trusted and reliable provider of video wall solutions. From Xtra Slim 4K Laser video walls to LED video walls, Delta offers a premium range of video wall solutions to suit the needs of data monitoring control rooms in smart cities.